Michael Loft is a member of the Mohawk community at Kahnawake. He has twenty years of direct experience in Youth Protection and private practice. He cordially invites all students with interests in First Nations People and issues, social justice, poverty, resilience and qualitative research to join him in an in-depth exploration of these topics. Students received a first hand account of strengths, weaknesses, threats and opportunities affecting Native people today. O:nen. Michael Loft received invitations to guest lecture at the McGill School of Social Work shortly after graduating with a BSW in 1984. Michael began his first assignment as a sessional lecturer during the winter of 2007. Later, in July 2007, he joined the McGill School of Social work as a professional associate. Loft's interest in First Nations Issues, with a focus on healing and recovery, is situated within Indigenous epistemologies centered on the Iroquois Great Law of Peace. His work examines how ancient healing-specific ceremonies, such as the Condolence (Wiping of Tears) and other ceremonies can work to help Native people today. Specific words to help convey ideas are peace, power, and righteousness. Mr. Loft's research focused on the healing of First Nations people. Currently, he is a co-researcher examining the social work education needs in the Mohawk communities of Kahnawake and Kahnesatake. Loft also has a particular interest in the needs of the much-neglected descendants of Indian residential school in Canada. He is currently working to find a way to bring the residential school survivors' and descendants' issues, narratives and stories to the United Nations Committee on the Rights of Indigenous Peoples. 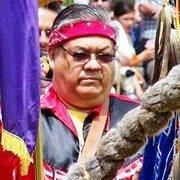 Mr. Loft taught in the areas of First Nations issues, Healing and social work practice. He is also part of Indigenous Access McGill, a support and mentoring program for First Nations people studying in the Health and Social Services disciplines (Social Work, Nursing, Occupational Therapy, Physiotherapy, Dietetics and Speech and Language Pathology) at McGill. He has two decades of practice experience in Child Protection, with individuals and families who attended Indian residential school, and in private practice with First Nations individuals. Thesis: Through Our Own Eyes: A Study of Healing as Elucidated by the Narratives of First Nations People. Published articles on social and economic issues for the Eastern Door newspaper. Published in the Montreal Gazette. Developed and created Survival Cooking and Budgeting programs specifically for Aboriginals to counteract poverty and promote health. Published research “Rethinking Social Work Education for Indigenous Students: Creating Space for Multiple Ways of Knowing and Learning" in First Nations Child and Family Caring Society of Canada. Guest speaker on social work and Aboriginal issues at McGill School of Social Work (Special BSW & Certificate Program in Aboriginal Social Work). Presenter on Anger Management at Wellness & Native Men V Conference in Sante Fe, New Mexico in May 1996. Presenter on Residential Schools at Wellness & Native Men VII Conference in Albuquerque, NM in May 1999. Presenter at First Nations & Inuit Suicide Prevention Association Conference in Montreal, December 2002 and 2003.